Looking for a decent weed whackers in 2019? You've come to the right place. Our personal favorite weed whacker/string trimmer is the Makita XRU02Z because it is an excellent mix of affordability, efficiency, and practicality. This weed whacker uses an electric motor which delivers a super-speedy 7,800 RPM. This translates to a swift cut on your most stubborn weeds, and a perfectly-manicured lawn which leaves no room for pests to hide or slither around. We love this particular device because it offers five different adjustable settings for the head, which means that you can get the perfect angle for those tough-to-reach spots in the garden. 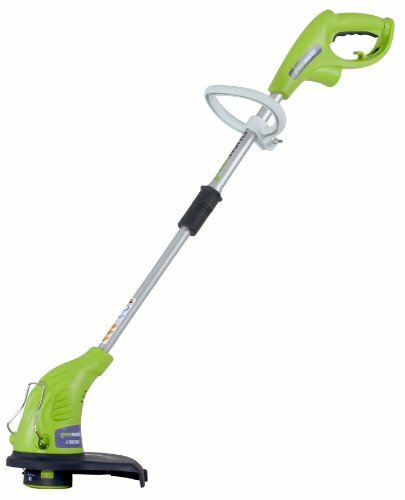 The design of the weed whacker itself is ergonomic and the device is lightweight, coming in at only 6.4lbs when the battery (sold separately) is attached. Weed whackers are an important part of weed prevention and lawn maintenance because they can help property owners avoid overgrowth. All of the following products are excellent electric options that work for basic weed whacking. Take a look below at our runners-up! What Makes a Quality Weed Whacker? Weed whackers are also called trimmers, or edgers. These devices help lawn owners kill weeds and tall grasses that grow around the edges of yards, driveways, and gardens. Usually, they have rotating strings which are sped up and used to slice through plant stems. Don't be intimidated by the weed whackers' long, often technical names. They contain valuable information about how powerful the device is. We've all heard the term "weed whacker" or "weed wacker"...but what image springs to mind when these words are spoken? For most of us, it's just a nondescript piece of machinery. Most people have no idea what this hunk of metal actually does—and that's okay, because we're here to tell you. Essentially, the weed whacker's job is to eliminate difficult-to-reach weeds which grow in the tough corners of yards and drivers. How Does a Weed Whacker Work? Weed whackers can be complicated machines, but they work based on a simple premise. They utilize an energy source like a battery, gas engine, or electric engine which moves the head. Attached to the head are long, tough strings which spin quickly and build up enough momentum to slice through the stems and leaves of weeds. Read Also: What are the best weed killers for bermuda grass? Chains are naturally stronger, but are banned in many places because of the danger involved. At least one person died from being hit by the moving chains, so it is safer to invest in strings or plastic lines. Another problem with the chains is that pieces of the metal can detach and become shrapnel from flying several hundred feet through the air. String trimmers continue to be popular because they are inexpensive and easy to replace. The strings also pose few health risks unless someone comes in contact with them while the whacker is on. Weed whackers powered by gasoline tend to be more expensive than electric versions, but also more powerful. For comparison, a stronger gas-powered model can cost hundreds of dollars while a small, weaker, electric version can be purchased for under a hundred bucks. Both models, of course, have different benefits. Gas trimmers work best on difficult types of terrain which feature a lot of rocks or brush. Many of these models can have their string heads replaced with others that have circular blades for cutting through thick brush or saplings. Electric trimmers work well for the typical homeowner who has a smaller yard to maintain. These simple models are useful for clearing up weeds around gardens, driveways, and regular lawn decorations. To listen to the difference between these two motors in action, take a quick peek at the video below. The best trimmer will depend on what kind of yard you have and how you plan on using the device. Is It Dangerous to Use a Weed Whacker? The main risk of using a weed whacker is accidentally getting clothes or flesh tangled in the strings. The University of Arkansas Division of Agriculture recommends that users wear tight clothing, boots, eye protection, and long pants. Ear protection is also valuable, as these machines roar pretty loudly. Another problem many users encounter is that they sometimes hit rocks or sharp sticks with the machine. The object could go flying and collide with someone, so it's important to clear the area before turning the whacker on. Read Also: What are the best sprays to kill weeds? As with any piece of machinery, a quality weed whacker is one that works but also doesn't pose too much of a safety risk to the user. Some styles have been banned in several countries because of their safety hazards, so a string weed whacker is considered best. Otherwise, it's important to choose a device with a power level suited to your yard. How Much Does a Weed Whacker Cost? Here's where the waters get murky: sometimes, you'll see weed whackers for just a few bucks. Sometimes, they'll go for several hundred. Long story short—you get what you pay for. A weed whacker usually has a long lifespan, so buying one should be an investment that lasts several years. Cheaper models are usually more likely to break or are not as powerful as their more expensive counterparts. To view up-to-date prices on recommended models, see our buying guide below. When used properly and safely, weed whackers get the job done with ease and precision. What makes a weed whacker advantageous over a tradition lawn mower is its flexibility; because it's a handheld device, the user can get to tight spaces with so much more ease than with a clunky, awkward push-mower. The owner should always take care to read the instructions carefully before operating any type of machinery. As always, use best practices for safety while operating machinery. 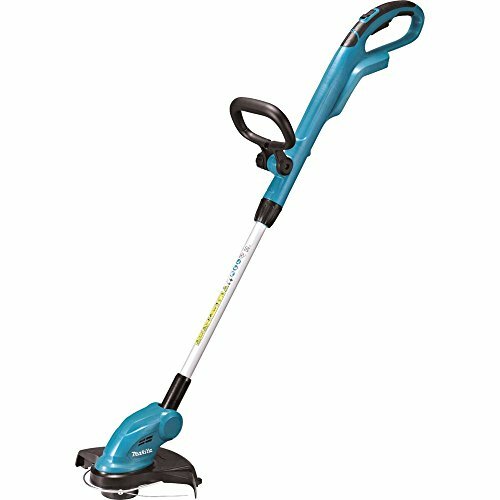 The Makita cordless string trimmer uses an 18V ion battery designed to have a long life. A single charge guarantees a 45-60 minute run time, which is useful for individuals who have medium to large yards. This weed whacker has a compact design with an adjustable head and handle. The head moves into five different positions while the handle can change to suit people of different heights. Makita manufactures this trimmer with a 3-year warranty. It cuts with a 10.25 inch diameter and is easy to load and unload. We recommend this product to people who want a combination of strength and affordability, as well as reliability. The product is more expensive than its competitors, but comes with a guarantee and more power than other electric options. The design is compact and lightweight at 6-7 lbs. The DEWALT MAX string trimmer is a powerful electrical model which comes with a 20V lithium ion battery and a charger so it can be reused with ease. This model is adjustable and comes with a speed control trigger so the user can adjust how fast or slow they are taking down weeds. It also has a brushless motor, which means that this machine will last much last longer than its counterparts with brushed motors. The DEWALT MAX has a 13 in. cutting swatch and uses strings which auto-feed from the spool. It's a heavier model than some others at 14 lbs. but has a long-lasting battery and extra power. We recommend this string trimmer to those who want a combination of power and agility for medium to large yards. Black+Decker is a well-known manufacturer that develops a broad range of tools like weed whackers and string trimmers. Their LST300 Lithium model uses a 20V battery and is inexpensive for homeowners and experienced gardeners alike. Unlike some other products, the LST300 is adjustable. The length of the weed whacker can be changed and the handle can pivot so users can access hard to reach areas without potentially injuring themselves. This whacker uses synthetic strings and is a 2 in 1 trimmer and edger. It comes with an automatic feed spool so people don't have to adjust the strings themselves before or in between uses. This dramatically reduces the chances of a safety hazard, making this particular weed whacker one of the safer products on the market. 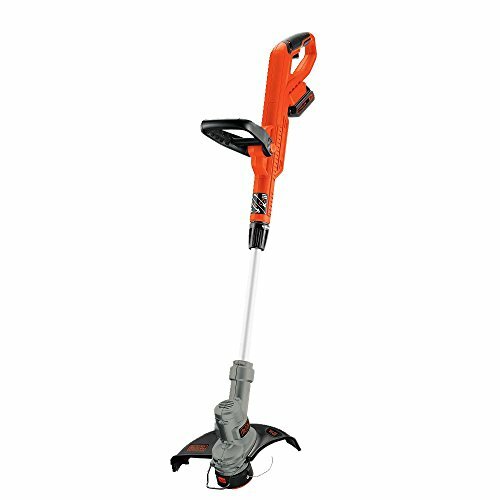 We recommend the Black+Decker LST300 to individuals who would like a flexible weed whacker which can be used during everyday situations around the yard. The Greenworks Corded String Trimmer is a lightweight, inexpensive weed whacker for individuals who want to maintain their lawns without investing a ton of money. The device weighs 5 lbs. and uses a simple electrical system to power itself so users don't have to deal with a heavy gas engine. It has a 13 in. cut path and an automatic feeder to move the string when it breaks. The Greenworks Corded String Trimmer comes in several different sizes and is easy to use with an electric start. When purchasing, the user should select the size that's right for them from three available sizes and power levels. What really separates the Greenworks Corded String Trimmer from other weed whackers is the fact that it is 50% quieter than a usual weed trimmer. This is a huge bonus, considering that yard work is generally considered a noisy chore for the person taking on the task...and their neighbors. We recommend the Greenworks Corded String Trimmer to people who own a small or medium-sized yard and need something affordable for regular maintenance. The weed whacker only weighs 5 lbs. 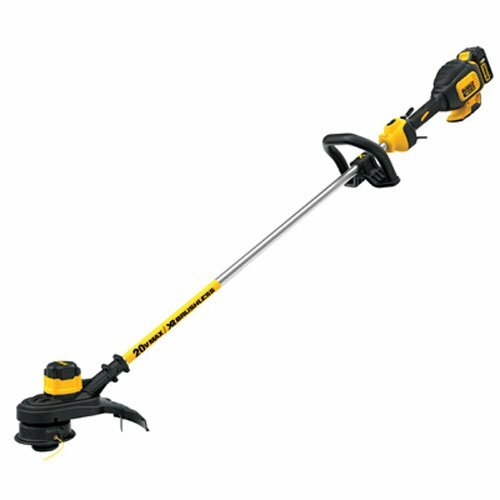 The MLG Tools Lithium Ion Corded String Trimmer is a powerful electric weed whacker with a 10 in. cut path and an auto-fed line. This device is more affordable than some other brands and can convert from a string trimmer to an edger easily. The handle is adjustable and the overall product is lightweight at just under 4lbs. 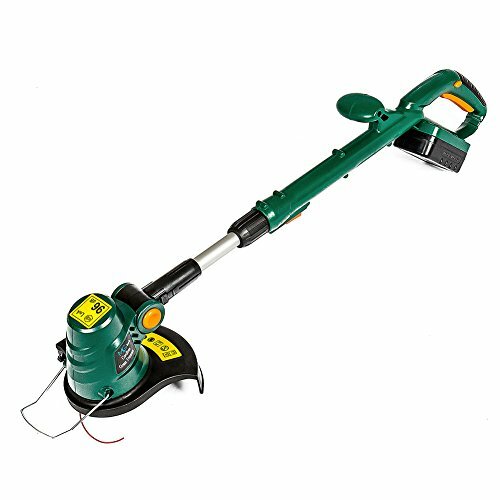 The manufacturer offers a one year warranty, and the weed whacker takes one 18V lithium ion battery to operate. This device has a long life and works well for people of all heights. We recommend the MLG Tools corded string trimmer to people who are searching for a powerful weed whacker to trim their yard at a reasonable price. People will have different needs when it comes to wacking pesky weeds, and string trimmers come with varying powers and styles. Curious about other products related to creatures that could be lurking in your weeds? Check out our other detailed guides to help you deal with your pest problems.